The Christopher Dowswell Scholarship Fund, launched by Winrock with initial financial support from Mr. Dowswell’s family after his death in 2009, helps increase the number of women in extension services. It financially supports women pursuing degrees in Agricultural Extension in Africa. For 30 years, Christopher Dowswell was the right-hand to Norman Borlaug, the father of the Green Revolution and former Board Member of Winrock. Both men were committed to the idea that agriculture had a significant role in improving people’s lives. They had personally seen how an increase in access to new agriculture knowledge and technology can help combat child mortality, malnutrition, and poverty. 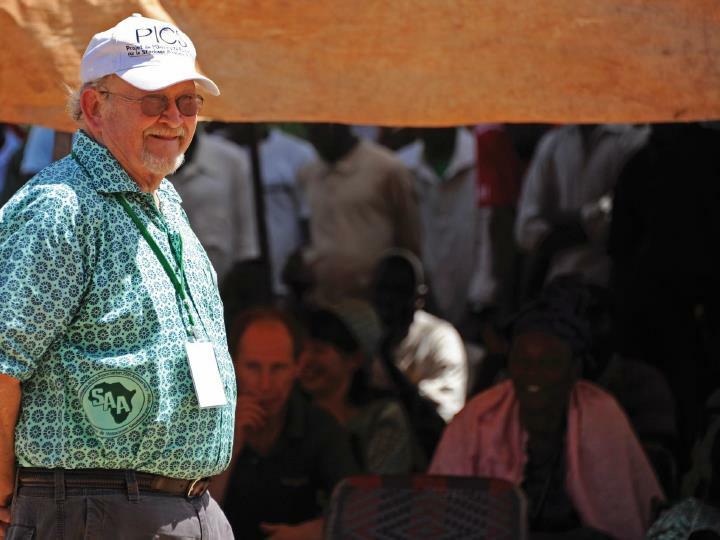 After Dr. Borlaug’s death, Mr. Dowswell continued this work with the Sasakawa Africa Association (SAA), after he was asked to become their executive director. At its start, the SAA held demonstrations to show local farmers new innovations in agriculture but could not gain widespread adoption of these new practices. To Mr. Dowswell, this highlighted the importance of education programs and extension services in an agriculture development project. One of the obstacles to good extension services came from missed opportunities. Those from rural backgrounds, with extensive field service, were unable to gain the educational requirements to go to university, and thus to gain a promotion. To resolve this, SAA created the Sasakawa Africa Fund for Extension Education (SAFE) and they, with technical support from Winrock, negotiated a new program with multiple African universities to allow mid-career, field-experienced extension officers the opportunity to get a degree. Women’s needs as farmers have historically been overlooked by extension services, many assuming incorrectly the information would “trickle down” from the male heads of the house to the rest of his household. This is exacerbated when in some societies women are restricted from meeting with men outside of the family. Even if it is permitted, many women only feel comfortable with a female extension worker.